93 years. Passed away peacefully on Friday, August 30, 2013. Beloved wife of the late Zarko Jovanov. Dear mother of Brana Drake & husband Howard of Newfoundland, Ljiljana Marriott & husband Ronald, Sandy Jovanov & wife Annette, all of Windsor. Dear grandmother of Mary Ann, Angela, Debbie, Kristin, Lyndi, Danny, Wendy, Michelle, Steve and great grandmother of Candace, Katherine, Elizabeth, Alyssa, Jacob, Andrew, Madison, Olivia, Abigail, Luca, Brayden, Adrian, Ethan, Cole and Will. Dear sister of Olga Perisic and Dobrila Maksimovic, both of Belgrade, Serbia. Predeceased by her brother Petar Gligorin. Also survived by many nieces and nephews. Milka was a member of Grachanica Serbian Orthodox Church, a founding member of the Serbian Heritage Women's Society, and on the executive for many years of the Serbian Sisters of Grachanica Knjeginja Jelena, the Serbian Pensioner's Club and the Serbian Heritage Museum. on Sunday October 6th in the early hours of the morning, died peacefully in his sleep. Born February 1st 1926 in Cemernica, Kordun region of the former Yugoslavia, John was the eldest child of Andjelija Puskar and Janko Milojevic. Predeceased by father Janko in Glina, Yugoslavia 1941, his mother Andjelija in Harrisburg Pennsylvania 2006, brother Ilija (Mike) in California 2009, brother Samuel Linta in Pennsylvania 1999, sister Anna (Baby) in California 1983. John leaves behind his sister Mary 'Mim' Johnson and brother-in-law Sam of Pennsylvania. John was the devoted husband of Nada (Todorovich) for 63 years and 173 days. Father of Yvonne, Donald & wife Samantha (Augsburger), Buddy and wife Angela (D'Alessandro). Grandfather of Aleksandar and Maksim of Windsor, Steven, Chris and Aeden of California. Great-grandfather of Eli, Andrew and Emily of California. Uncle to Janko Milojevic of Hamilton, and Stevan (deceased), Jovan of Windsor and Petar (deceased), Cheryl, Debbie, Sue, Debbie, Mike, Michelle and Jody of Pennsylvania, Anna of Wisconsin, Cherie of California,. 'Cico' to Nada Zebic, Tone and family, and Nancy Pavlovich and daughter Tiffany all of Windsor. John immigrated to Canada in 1948 from a Displaced Persons Camp in Austria with the help of his Uncle Jim in Pennsylvania who requested a letter from President Harry S. Truman in Washington, DC. Born in Yugoslavia, he spent his childhood years both in Pennsylvania, Weirton West Virginia and Yugoslavia. John was a veteran of the Second World War serving with the Cetnik Freedom Fighters under Draza Mihailovic. Also a veteran of the Canadian Armed Forces, Major in the Royal Canadian Engineers (RCE), Windsor Regiment. John retired as carpentry teacher at W.D. Lowe Secondary School 1966-88. A Jack-of-all-Trades, John was a master of carpentry and wood carving. 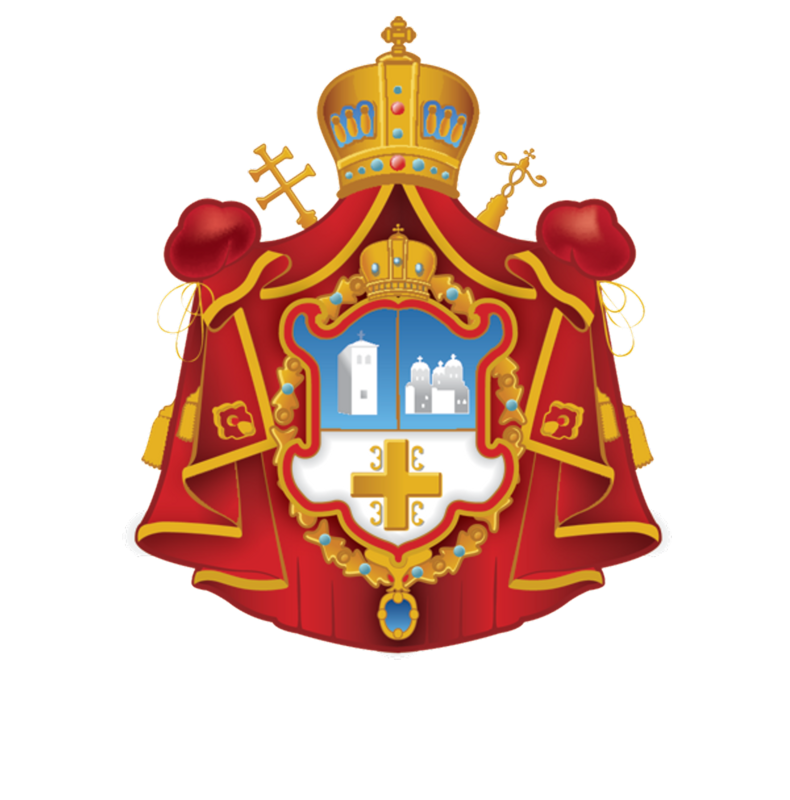 Faithful member of Gracanica Serbian Orthodox Church in Windsor, where he was president and vice-president 1975, 1976, and Kum of the Church Slava 1999. Proud member of the Serbian community of Windsor and Hamilton, Ontario. President of the Serbian National Federation (SNF) Lodge 345 from 1983-2009, and five time delegate to the SNF convention. Member of the Glavna Uprava, SNF board for 4 years. President of the Serbian National Shield Society of Windsor Cetnik branch. Member of The Movement of Serbian Cetniks of Ravna Gora. Masonic member of Palace Lodge #604, and member of Royal Canadian Legion Branch 594 of Windsor. As President of the Multicultural Council Windsor-Essex, his term was highlighted by his attendance at the luncheon for HRH Queen Elizabeth II. John also accompanied HRH Prince Aleksandar Karadjordjevic during his visit to the Windsor Serbian Community. John's many accomplishments are evidence of his multiple talents and skills. His winsome personality is evidenced by the many friends he leaves behind. 'Ace' John also was an avid golfer, a game he picked up in his retirement years. He cherished his time with his golfing buddies in the White Eagles League, with whom he achieved his first and only Hole in One most recently. Yearly 'snowbirds', John insisted on driving himself and Nada to Hallendale Beach, Florida, next door to Miami where they first spent their honeymoon in 1950. They faithfully attended St. Simeon Serbian Orthodox Church in North Miami. John was dedicated to his immediate and extended family, and his many kumovi and friends whom he leaves behind, as well as his beloved Serbian Orthodox Church Gracanica in Windsor where many of his wood carvings and furniture items remain as part of his legacy, most notably the Bishop's Pedestal Throne and the front balcony of the choir loft. In lieu of flowers, donations to Gracanica Serbian Orthodox Church are welcomed. Visitation will be held at the Anderson Funeral Home & Cremation Centre, 895 Ouellette Avenue (519) 254-3223 on Wednesday and Thursday from 2-4 & 7-9 p.m. A Masonic Memorial Service will be held under the auspices of Trinity Lodge #521 A.F. & A.M. on Wednesday evening at 7:30 p.m., followed by a Veterans Service under the auspices of R.C.L. Br. #594 at 8:00 p.m. Prayers will be held Thursday evening at 7:30 p.m. Family and friends are asked to gather at Gracanica Serbian Orthodox Church, 1960 Meldrum Road, on Friday, October 11, 2013 from 11:00 a.m. until the Funeral Service at 11:30 a.m. The Very Rev. Fr. Milan Jovanov officiating. Interment Windsor Memorial Gardens. Dusan is predeceased by his first loving wife Anne. He is survived by his loving wife Ljiljana. Cherished father of Yvonne Dobrich (Mike), Mike Iric (Lisa), Linda Dragicevic (George), Karen Girard (Glenn). Dear stepfather of George and Constnatine "Scooty" Ferguson. Adored Deda to 11 grandchildren. Dusan, was the son of the late Dusan and the late Maria Iric. 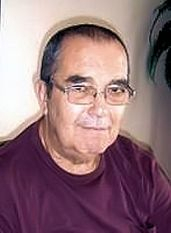 He is also the brother of the late Bogdan "Bob" Iric and is survived by Bobs wife Mary as well as his sister Helen Chonic (Milan). He is survived by many neices and nephews. Dusan was retired from Chrysler Canada. He was an avid soccer player in his youth..and has shared many proud memories of his days in net for the Serbian Soccer team. He loved to golf and spent some his time travelling with his wife each year. His quick wit and ability to make anyone smile will be missed by many as they share their memories of him. Funeral Servcie: Wednesday October 9 at 10:30a.m. at Gracanica Serbian Orthodox Church (1960 Meldrum Rd). Interment Heavenly Rest Cemetery. Dusan Krneta passed away Wednesday October 9, 2013 with his loving family by his side. Loving husband of 52 years to Ilinka (Backo) and proud Tata to Milorad (Anastazia) and Marija Krneta. Adoring Deda to Aleksandar and Daniel. Survived by brother Petar (Leicester England) and predeceased by his parents Dusan Sr and Marta, sister Mileva and brothers Lazar, Todor and Nikola. Dusan has extended family and Kumovi in Serbia, England, US and here in Canada. Dusan was born in Strmica, Dalmatia in the former Kingdom of Yugoslavia. Later he moved to Leicester England where he became an active member of the church school congregation and The Movement of Serbian Chetniks Ravne Gore. In 1961 he married his beloved wife Ilinka and they were blessed with two children Milorad and Marija. 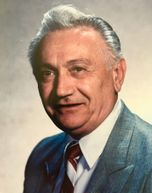 In 1969 the family immigrated to Windsor, Ontario where Dusan became a devoted member of Gracanica Serbian Orthodox Church and later retired from the Ford Motor Company. He will be fondly remembered and respected for his mild manner, kind heart and love for his Christian Orthodox faith. The family would like to thank Dr Ghafoor, Dr Khokhotva, Dr Luo, Dr Sorensen and from Hospice Dr Gall and Nurse Cathryn, CCAC, Bayshore Clinic, Nurse Nella and Nurse Ron Hood. Many thanks to family, Kumovi and friends for their continuous support. Ti si iznad greha I smrti, na visini, na kojoj I mi zelimo, u zajednici s Tobom ziveti!